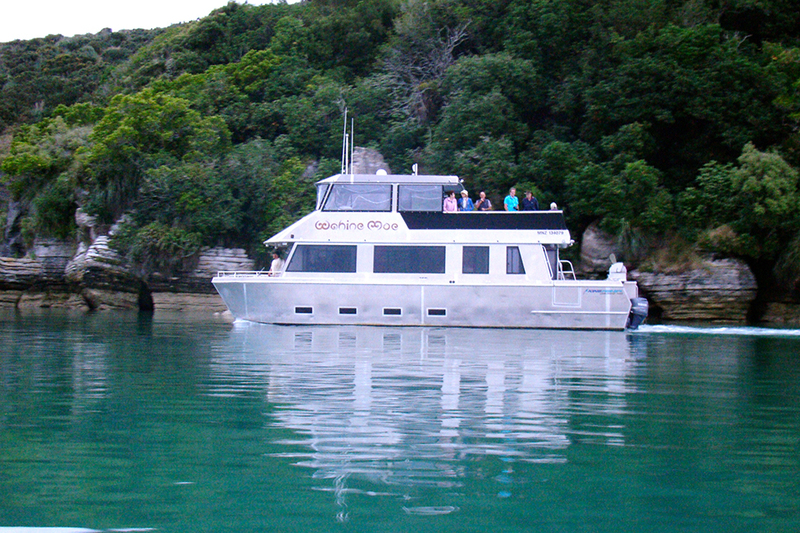 Experience the Raglan/ Whaingaroa harbour and its many stunning features, views and stories aboard the 15 meter �Wahine Moe�. On this one of a kind vessel students discover beautiful empty beaches and coves. Among the beautiful views of the Raglan Harbour groups learn about coastal flora and fauna.
? Eat on board the boat, either BYO or we provide a healthy lunch. These three activities can be combined into an awesome one day learning adventure!